Last week a jury found in favor of IBM by denying damages in a suit filed by two retired workers. The workers alleged that exposure to chemicals and toxins at an IBM plant led to cancer. This case points to several issues that should be of interest to employers and to those of us who work in the field of workers compensation. First, there is the tort issue. Normally, any compensability for work-related injuries or illnesses would be determined by the state workers compensation system. In that these illnesses arose out of and in the course of employment, why wouldn’t they fall under the prevailing jurisdiction’s exclusive remedy clause of workers compensation? The answer to this question lies in the fact that almost every state has exceptions to the exclusive remedy doctrine that allow for workers to file tort actions. 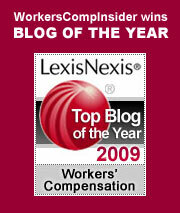 One common exception is willful intent on the part of the employer. That was essentially the basis of this particular lawsuit: the employees were trying to establish that IBM knew the potential hazard these chemicals represented, that IBM willfully disregarded that danger, and – very important to the California exception – that IBM neglected to inform the employees about that danger. Courts typically impose fairly high standards of proof in cases involving willful intent. A second issue this case highlights is the difficulty in proving the work-relatedness of an illness. Injuries are generally easier to determine – they often entail observable events, such as a fall, a cut, or a burn. Illnesses may take years to develop. It may also be difficult to separate work-related factors that led to an illness from non-work factors. In the case of chemical exposures, a direct medical link between chemical exposure levels and an illness can be years in determination; even then, chemical agents may be in widespread use, making it difficult to isolate whether the workplace is the proximate cause of the illness. The judgment in this case may well be a pyrrhic victory for IBM and for the chip industry. A series of 200 related suits from former workers about cancer and chemical poisening are still in the docket, as are about 40 suits involving birth defects in children of workers. The first birth defect suit against IBM will begin in New York next week. We’ve been talking laws here, but at the heart of the matter is worker safety. The toxins involved in the chip making industry have been coming under scrutiny for several years now, and although there have been some industry efforts at self-policing and enhancing safety, hazards still exist that risk managers, health & safety practitioners, and the industry itself must still address. The fact that IBM has “won” this round does nothing to lift the moral mandate that every employer has to provide a safe and healthful workplace. And if one of the remaining suits finds success in another jurisdiction, the financial imperative may become more pressing as well. Confined Space reports more on the safety hazards involved in this case, and also reports extensively on a proposed European initiative called REACH (Registration, Evaluation and Authorization of Chemicals) that increases the chemical industry’s responsibility for generating knowledge on chemicals, evaluating risk, maintaining safety standards, and substituting safer chemicals when possible. In an attempt to control rising drug costs, four states – Maine, Nevada, New Mexico, Vermont – have legislation requiring pharmaceutical representatives to report on marketing expenditures to physicians. Ten other states are currently considering such legislation, while six other states have rejected similar legislation. While both the AMA and the pharmaceutical industry have had ethical guidelines in place since 1990, some don’t think that these guidelines go far enough when considering the expenditures involved. In 2003, drug companies spent $21 billion on marketing versus $32 billion on research and development. More on state efforts to control prescription drug costs and the impact of prescription drug costs on workers compensation. The National Institute for Occupational Safety and Health is a federal agency charged with conducting research to prevent illnesses and injuries in the workplace. They’ve added a worker notification program on their site that provides medical information, resources, and research for a variety of workplace exposures. For example, steelworkers can learn about exposure to acid mist; dry cleaners could learn about organic solvents; industrial sand workers about silica, and so forth. Information is searchable by industry group or by type of exposure. Where are all the corporate weblogs? I’ve wondered why blogging has been slow to catch on in the business world, too. It seems like a simple way to communicate with your constituents, internal and external. After all, if you are an expert on the service or product that you sell, and if you are presumably following industry news anyway, doesn’t it then make sense that you would want a platform for sharing that expertise with clients, vendors, and your industry at large? Maybe it’s caution on the part of corporate lawyers. Maybe it’s not being able to think outside of the traditional advertising box. Maybe some large companies are trained to think of *solutions* as always having a big price tag. Or maybe it just takes a while for things to filter into the boardroom. Even tech companies don’t seem to be blogging in any large numbers – journalists, attorneys, physicians, consultants, and marketers seem to be in the vanguard on the business blogging front. Be sure to check out some of the business blogging pioneers under Business Weblogs in our sidebar. The Guardian article also has links to several business blogs and resources on blogging. Posted in Social media | Comments Off on Where are all the corporate weblogs? The Sebastian, FL police station recently dealt with 21 toxic mold claims from employees who allegedly became ill from mold at the station. Fifteen cases were dismissed or settled for small amounts; another six involved lump sum settlements. “The proof issues for determining compensability in mold exposure claims are the same as the proof issues for claims alleging “sick building syndrome” and multiple chemical sensitivities. In cases where the compensability of claims alleging sick building syndrome or multiple chemical sensitivities have been denied, the courts have reasoned that since there is no specific diagnosis attributed to the sick building or chemical exposure there is no definitive cause and effect relationship. The employee’s symptoms are considered to be an ordinary disease of life. In addition to testing basic issues of compensability, toxic mold will no doubt pose challenges to the exclusive remedy provision of workers comp. In an effort to secure richer remedies than those afforded by comp, plaintiff and class action attorneys are likely to pursue willful or intentional conduct suits. Like many issues, the best defense is often a good offense so employers would do well to prevent or address any mold exposures before they pose a problem to the health of workers. Recommendations and resources are available from OSHA in its Brief Guide to Mold in the Workplace. Is RIMS on your agenda? If you are planning to attend the RIMS 2004 Annual Conference & Exhibition in San Diego from April 18-22, 2004, get your reservations in now. The deadline for early bird registrations looms. Take advantage of the $100 savings by getting your reservations in by tomorrow, February 20, 2004. Check out the RIMS Conference overview if you’d like a quick preview. Drop us a note if you are planning to attend. Posted in Industry Events | Comments Off on Is RIMS on your agenda? Does your work keep you tied to the computer? Or too much time spent blogging? Cornell University Ergonomics Web offers several resources to help prevent back, wrist, or eyestrain. They offer a pictorial guide to setting up workstation components to prevent injuries and to ensure comfort while you work or play at the computer. They also have a “where it hurts” ergonomic guide that offers suggestions to address any discomfort or pain that you might experience. For another pictorial guide, try OSHA’s computer workstation ergonomics e-tool, including a handy one-page workstation set-up and purchasing guide checklist. And Healthy Computing’s office ergonomics offers set-up tips, a buyer’s guide, and a variety of other resources, including a list of office exercises and stretches you can do at your seat to relieve stress in your back, eyes, wrists, hands, neck, and shoulders. I have long suspected that the way this country treats back pain for work-related injuries is not only ineffective, it’s actually destructive. I have seen countless back claims degenerate into permanent and total disability following surgery. We are now beginning to see data that bears this out. In an article with profound implications for employers, insurers and workers with lower back pain, New York Times (free registration required) reporter Gina Kolata demonstrates the futility and the ineffectiveness of our current approach to back pain. The data calls for a transformation of the treatment paradigm itself. Here’s the way it works now: A worker suffers a lower back strain. He’s in a lot of pain. He goes for an MRI, which reveals a herniated disc. The insurer assumes that the herniation is work related, the condition is compensable and treatment begins. Perhaps surgery is performed. However, a number of studies have suggested that in 85% of the cases it is impossible to say why a person’s back hurts. Beyond that, many studies have found that abnormal disks are usually inherited, with no links to occupation, sports injuries, or weak muscles. So the use of the MRI to confirm compensability is indeed questionable. Then there is the issue of treatment. Studies confirm that there is little evidence that aggressive treatment is in any way helpful to the patient. One doctor quoted in the article says, “Maybe you are better off not going to a doctor.” Under the current system, if the employee is lucky, neither the treatment nor the surgery will permanently disable him and, eventually, he will return to work. The irony is that in most cases, doing nothing at all would be equally or even more effective than treating the injury with conventional medicine! So what is the new treatment paradigm? In the view of Dr. James N. Weinstein, a professor of orthopedics and editor in chief of Spine, we should teach people to live with pain, to put aside the fear that any motion will aggravate their injury. This is a concept that many Americans have trouble accepting. If we experience pain, we seek an immediate cure. For back injuries, this approach just doesn’t work. We have to learn that “hurt doesn’t mean harm.” There will be pain for a while. During the natural recovery process, treatment should focus on “functional restoration:” That means working on training, strength, flexibility and endurance. And let’s not forget to offer the needed counseling that addresses fears of reinjury, anxiety, and depression. Which brings me back to the employer’s best tool for fostering an active (but not necessarily pain free) recovery: Modified duty. Once we recognize that the vast majority of back injuries resolve themselves in a few months, with little or no treatment required, the need for proactive employers to help injured employees through the process – and the pain – becomes paramount. By providing modified duty, we give injured employees a reason for getting up in the morning and a place to go. We give them meaningful tasks, which help take their minds off the pain. Above all, we help them maintain their identities as productive workers. This is by far the most effective and the least expensive approach to lower back injuries. As with so many other workers compensation issues, proactive management is the best solution.